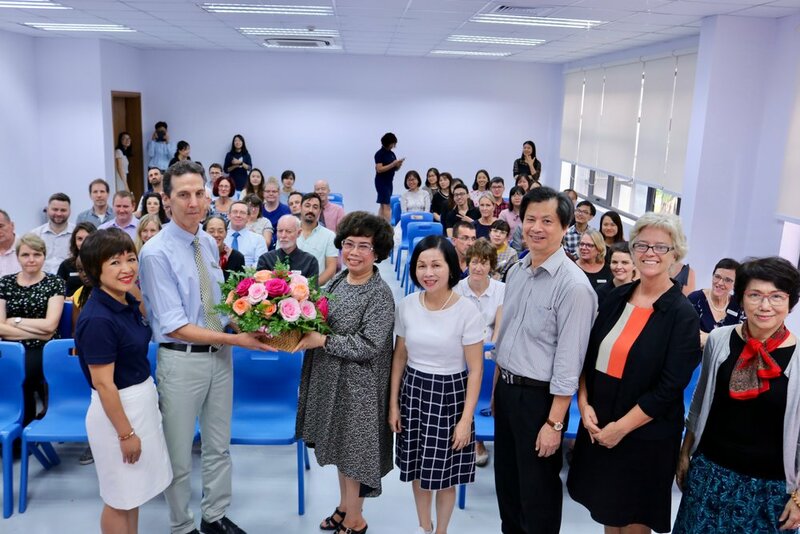 TH School students at both the Chùa Bộc and Hoà Lạc campuses took this day to show their sincere appreciation for their teachers. 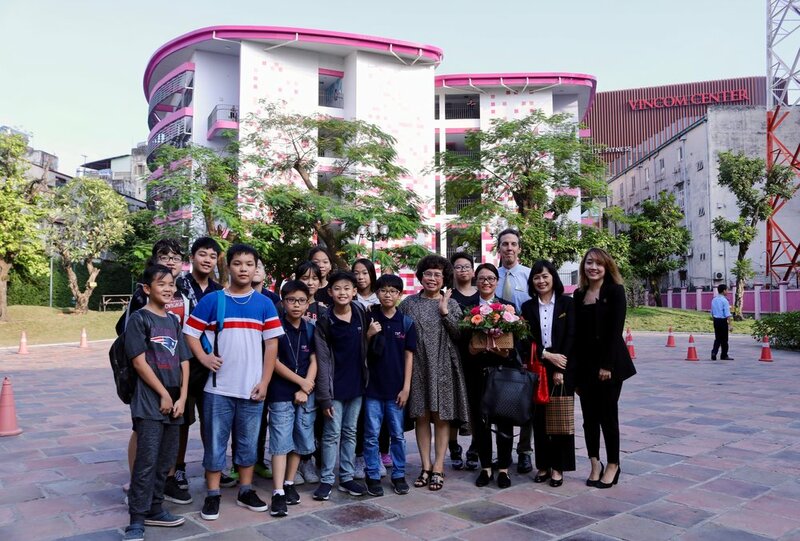 Teachers at Hoà Lạc were delighted to have been treated by students to shoe shining, a wall of well wishes, spa treatments and sweet treats by students. Students showed their appreciation for all the work their teachers do and awarded each with a certificate and short video celebrating their best qualities. Meanwhile at Chùa Bộc, students prepared gifts, portraits, homemade cookies and greeting cards for their teachers to express their appreciation, and they put it all together in a small display in the courtyard. 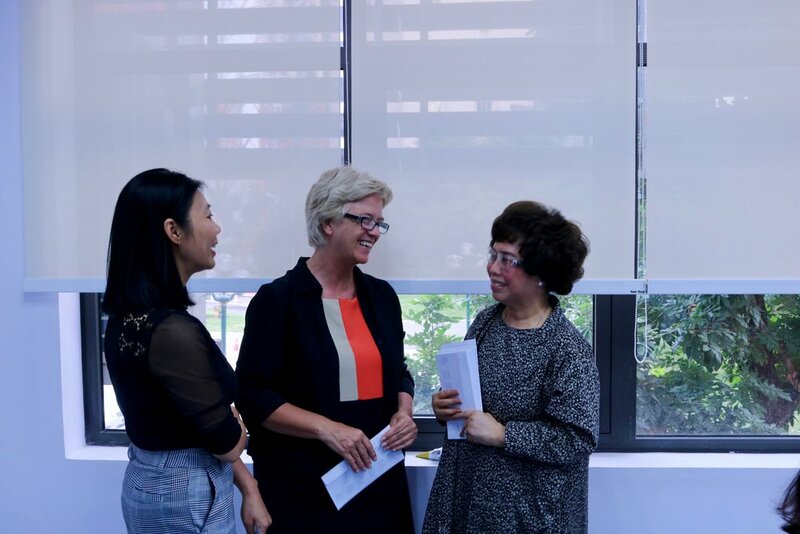 School founder Madame Thái Hương paid a visit to the Chùa Bộc campus on this day to greet students and express her personal gratitude to the teachers who helped develop the school by delivering a high quality educational program and investing in each student’s personal growth and academic success. Thank you to our teachers, and thanks to the students who made this a meaningful celebration.